White Pepper is the dried berry of the pepper vine, Piper Nigrum. The spice was first discovered more than 4,000 years ago and has been cultivated since 1,000 BC. It almost instantly became an item of luxury and had such immense value that it was often used as a form of payment in ancient times. These peppers originated in the Wayanad plateau of Kerala in Southern India. Today Vietnam is the world’s top producer of pepper, followed by Indonesia and then India. The pepper vine is a climbing plant and its berries grow in clusters of bright green, then turn to yellow-orange, followed by bright red berries or fruits. White Pepper requires moist tropical climate and rich soil. It is actually made from the seed of the plant, once the fruit flesh is already stripped down. Unlike black peppers, the fruit of the white peppers are made to ripen fully before the peppers are picked. When they are ready, the fruits (berries) are then soaked in water for several days (about eight days at least). Once the flesh has decomposed and softened, it is rubbed or scraped until the seeds come off. The seeds are then dried up until it becomes greyish or white. After which, it is sold in the market as either whole or ground white pepper. White pepper is ideal for people following a low sodium diet. White pepper powder is commonly used in light coloured European dishes like casseroles, pies, mayonnaise, cream-based soups, and white sauces. It is often used in instant noodles and snacks. 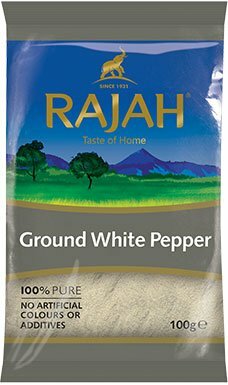 In Indian cuisine, white pepper powder is used for white, cream-based gravies and curries. 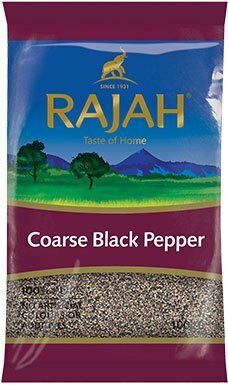 Crushed white pepper should be kept in a tightly-sealed glass container in a cool, dark and dry place. 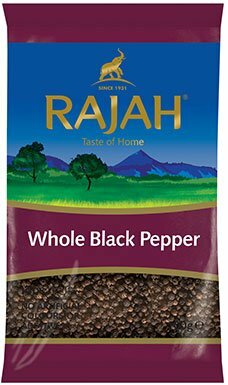 Whole white peppercorns will last almost indefinitely, while crushed pepper will stay fresh for about three months. In addition to using it as a spice, white pepper is also used as a general digestive aid. It has been used in the treatment of gonorrhoea, vertigo, and arthritis. In addition, white pepper has diaphoretic (promotes sweating) and diuretic (promotes urination) properties. Traditional medicinal systems such as Ayurveda, Siddha, and Unani, widely use white pepper and its powder as an essential oil in aromatherapy.